Miami Stop will include Cultural and Educational Engagements and Work with Youth and Adults with Disabilities (MIAMI, FLORIDA) – Traditional voyaging canoe Hokulea yesterday made her safe arrival into Miami, Florida, and the final stop on the 25th leg of the Malama Honua Worldwide Voyage sponsored by Hawaiian Airlines. Crewmembers moored the vessel at the city’s Shake-A-Leg Marina on Saturday afternoon where the canoe will remain for about three weeks for re-provisioning and preparations for the next leg of the voyage. The crew also will be engaging with the Miami community to share the message of Malama Honua (to care for Island Earth). The marina hosting Hokulea and her crew is home to Shake-A-Leg Miami, a non-profit organization providing opportunities for children, youth and adults with physical, developmental and economic challenges to experience watersports and Miami’s marine environment by teaching environ-mental lessons, therapeutic sailing and other water sport activities. 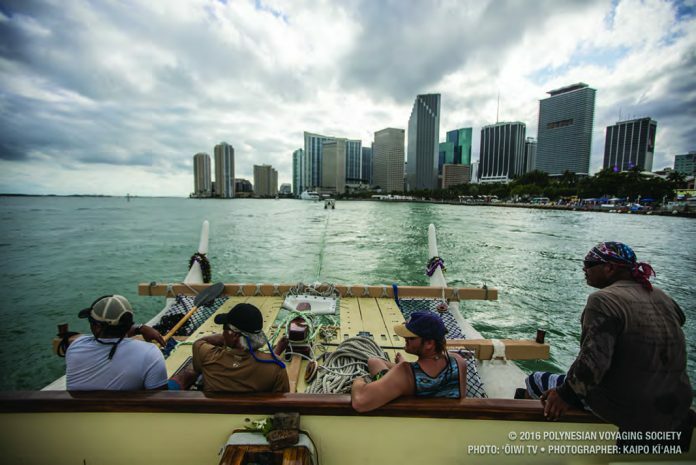 The children and adults participating in Shake-A-Leg Miami’s programs will be able to meet the crew and learn the inspiring stories about Hokulea while she is moored there. While in Miami, the crew also will conduct a series of free canoe tours and plans to work with cultural and community leaders for educational opportunities that extend the mission of the Worldwide Voyage. The crew will also reconnect with several Florida schools and representatives of the Miccosukee and Seminole Nation tribes, who welcomed Hokulea when she first arrived in Florida at Everglades National Park in March of this year before spending the next nine months sailing up the East Coast. 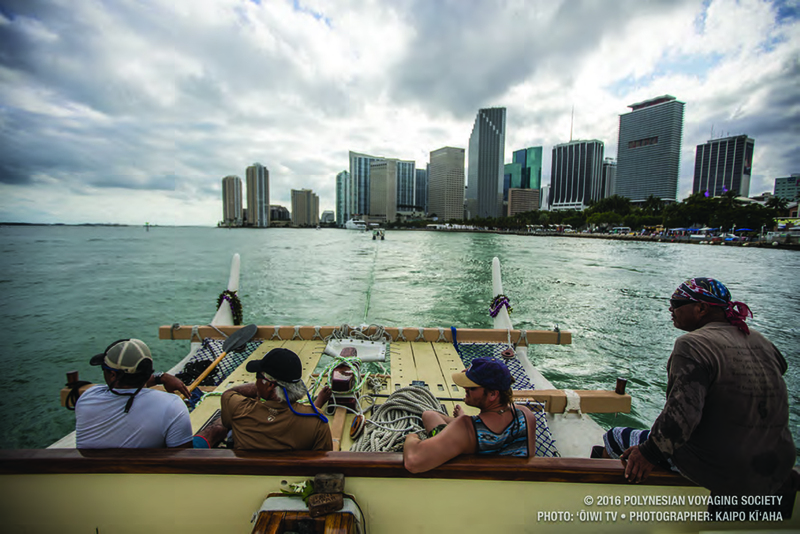 Miami is the final stop for Leg 25 of the Voy-age, which began in Virginia following Hokulea’s drydock for maintenance and repairs. A new crew will be arriving for Leg 26, which will sail the canoe to Key West before re-entering the waters of the Caribbean. 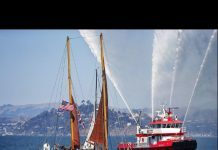 Hokulea will then prepare to cross the 48-mile Panama Canal before returning to the South Pacific Ocean to make her momentous journey home to the Hawaiian Islands. The Malama Honua Worldwide Voyage will cover over 60,000 nautical miles, 125 ports, and 27 nations, including 12 of UNESCO’s Marine World Heritage sites. 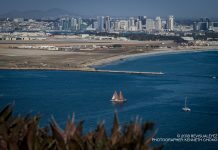 Voyaging from Hawaii in 2013 with an estimated sail conclusion date of June 2017, the Worldwide Voyage is taking the iconic sailing vessel, Hokulea, around Island Earth and her sister canoe, Hikianalia, around the Hawaiian Islands to grow a global movement toward a more sustainable world. The voyage seeks to engage all of Island Earth – practicing how to live sustainably while sharing Polynesian culture, learning from the past and from each other, creating global relationships, and discovering the wonders of the precious place we call home. Since departing Hawaiian waters in May 2014, Hokulea has sailed more than 28,000 nautical miles and made stops in 15 countries, weaving a “Lei of Hope” around the world. Along the way, more than 200 volunteer crewmembers have helped to sail Hokulea to spread the message of Malama Honua (or taking care of Island Earth) by promoting sustainability and environ-mental consciousness, as well as exchanging ideas with the countries she has visited. So far, crewmembers have connected with more than 100,000 people in communities across the South Pacific, Tasman Sea, Indian Ocean and the Atlantic Ocean including Samoa, Aotearoa (New Zealand), Australia, Indonesia, Mauritius, South Africa, Brazil, U.S. Virgin Islands, and Cuba, the east coast of the United States and Canada.